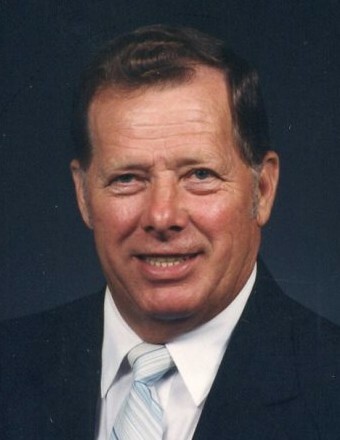 Earl A. Smeltzer, 83, of Manor Township, died Sunday, April 14, 2019, in Allegheny General Hospital, Pittsburgh. Born July 2, 1935, in Manor Township, he was a son of the late Howard O. and Helen Leona (Myer) Smeltzer. A veteran of the U.S. Army, he served from 1956 to 1959. He was a member of Crooked Creek Presbyterian Church, where he served as an elder. He also helped in building the church's social hall. Mr. Smeltzer worked as an aluminum welder, a diesel mechanic, and a truck driver. He was employed by Richard Culp Excavating, Boarts International, H.M. Pollock, and McAneny Wholesale. After retirement, he repaired small engines.He enjoyed hunting, camping, fishing, and shooting target pistols at Kelly Station Sportsmen's Club. Most of all, he was great husband, father, and grandfather. He is survived by his wife, Lucille (Snyder) Smeltzer; two sons Barry (Adele) Smeltzer of Manor Township, and Wayne (Debby) Smeltzer of North Buffalo Township; four grandchildren; four stepgrandchildren; nine great-grandchildren; 10 step-great-grandchildren; brothers, Delbert (Linda) Smeltzer of North Buffalo Township, Howard "Slim" Smeltzer of Kittanning, Kenneth (Beverly) Smeltzer of Rayburn Township, Roger (Cathy) Smeltzer of North Buffalo Township, and Don (Sue) Smeltzer of Worthington; and sisters, Helen Galbraith and Irene (Galen) Galbraith, both Boggs Township. In addition to his parents, he was preceded in death by a sister, Janet Cameron. Friends will be welcomed in the Welch Funeral Home, 1032 Fourth Ave., Ford City, on Tuesday, from 2-4 and 7-9 p.m. Funeral services will be held at Crooked Creek Presbyterian Church, on Wednesday at 11 a.m., with additional visitation one hour prior to the service. Burial will follow in Crooked Creek Presbyterian Cemetery. To send an online condolence, please visit www.welchfh.com.